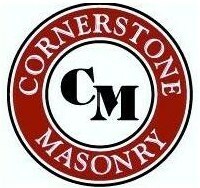 Established in 1987 as Lavezza Contractors Incorporated, Cornerstone Masonry has grown to be the largest installer of Cultured Stone® by Boral Stone Products in Maryland. We specialize in product sales and installation services for residential, commercial, and home improvement marketplaces. With 25 years in business, Cornerstone Masonry is committed to providing customers with the highest quality workmanship while ensuring complete satisfaction through every step of the project.